Lately, there has been tons of work available for freelancers who desire to work as home-based virtual assistant. This type of work consists of you completing a variety of duties such as booking appointments, scheduling meetings, sorting files, and so forth. Many corporate individuals need someone to handle these duties since their time is filled with many aspects of the business life. 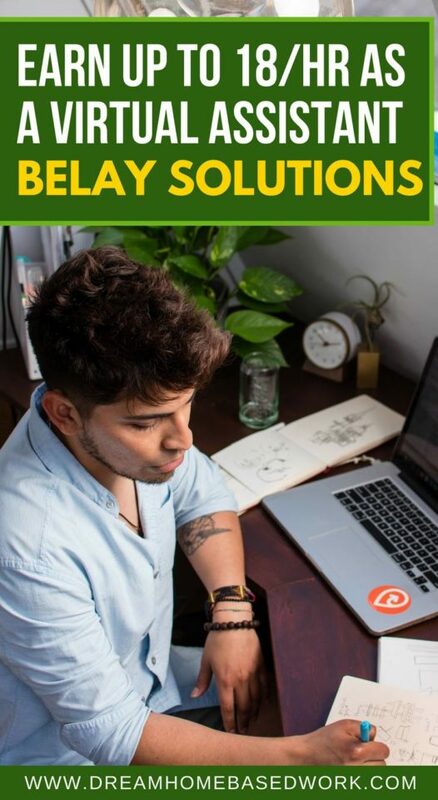 This is where Belay Solutions fills the gap, and connects fast paced businesses with talented Virtual Assistants. Belay Solutions, formerly known as EA HELP, has been in business since 2010. This company works with businesses and freelancers based everywhere in the US. How Much Does Belay Solutions Pay? Belay offers competitive pay to all freelancers. According to Glassdoor, the pay is reported to be around $14-$18 per hour. You will definitely earn close to other VA companies like Vicky Virtual and Time Etc. Do you work as an employee or independent contractor? When you were hired as an independent contractor, taxes aren’t taken out of your pay. Typically, you would fill out a 1099 form at the end of the year showing what you have earned with the company. This will need to be filed with your taxes. What are the Qualifications to be considered for Belay Solutions? Must be considered as a tech savvy individual. Bachelor's degree preferred with 5 years’ experience as an Executive Assistant or similar role. Ability to work along with managers and virtual team members. If you feel that you do not qualify for the position, see this list of beginner work at home jobs. We have contractors who work as little as 10 hours per week (the minimum) while others choose to work 40+ hours per week. 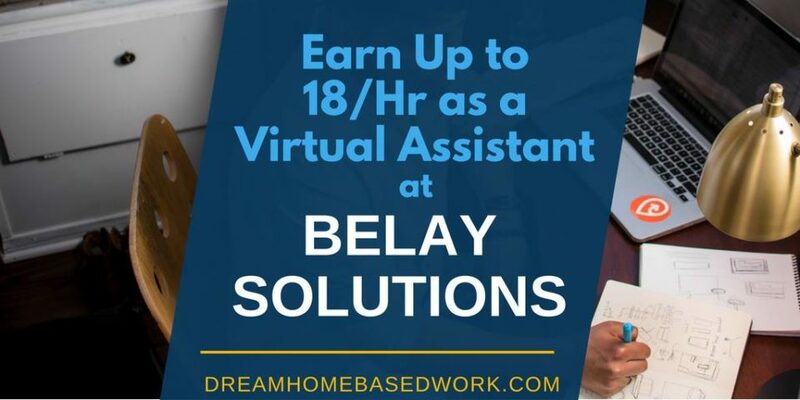 To get started with Belay, visit them online and apply to be a virtual assistant. Once your application and resume is approved, you will be entered into a computer database for review. If a client is interested, you will be contacted for the next step. Best wishes to everyone who apply! Find More Legitimate Work from Home Jobs! Look for the free work from home directory. This listing has more than a hundred of paid jobs. Visit FlexJobs. This portal is highly reliable for home-based, flexible and scam-free job opportunities. Check out our Youtube page to find live home-based video tutorials, giveaways, tips, etc. Thank you for highlighting our organization! Grateful. We love finding GREAT and qualified virtual assistants all over the US and matching them with our amazing clients. Hello Bryan! Do you have any advice for those of us who have previous administrative experience but have been out of the work force for awhile? I was a legal admin and paralegal for a large international co. for 9 years but I have been a SAHM for the past 9 years. I volunteer extensively at my children’s school and have kept up with my administrative skills. I applied with your company last year but I never heard anything. I’m also local to you (I live in North Fulton)! I know because of my time away from the work force that I may have a harder time, but I would love an opportunity to work from home as a virtual assistant for eaHELP. Any advice you would be willing to offer would be much appreciated! Thank you!